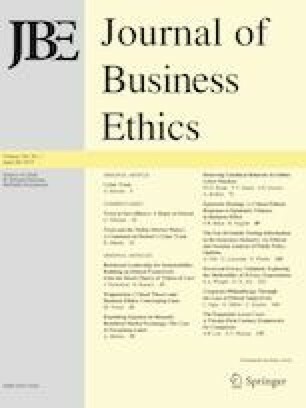 This article develops theory on responsible leadership based on a model involving three leadership roles: an expert who displays organizational expertise, a facilitator who cares for and motivates employees and a citizen who considers the consequences of her or his decisions for society. It draws on previous responsible leadership research, stakeholder theory and theories of behavioral complexity to conceptualize the roles model of responsible leadership. Responsible leadership is positioned as a concept that requires leaders to show behavioral complexity in addressing all three roles. In three studies, we provide a first empirical test of antecedents and outcomes of the roles model of responsible leadership. The results of the studies indicate that responsible leadership is positively related to the leader’s perceived effectiveness, favorable stakeholder evaluations and employee engagement with the organization and society. Responsible leadership behavior, in turn, seems to be facilitated by leader empathy, positive affect and universal value orientation. The online version of this article ( https://doi.org/10.1007/s10551-019-04155-2) contains supplementary material, which is available to authorized users. The authors thank Yehuda Baruch and William McKinley for helpful comments on earlier drafts of this paper and Daniella Laureiro-Martinez for helpful insights into the think aloud method. We acknowledge the financial support by the Swiss National Science Foundation for the projects “Making Responsible Leadership Relevant: Development and Validation of a Theory-Based Measure” (100018_149937) and “When individuals become social innovators: Investigating social innovative behavior and its individual and contextual preconditions” (100010_165699). All author declares that they have no conflict of interest. Lee, K. and Ashton, M. C. (2015). The HEXACO personality inventory—Revised. Retrieved January 23, 2018, from http://hexaco.org/scaledescriptions.